Your search is over! 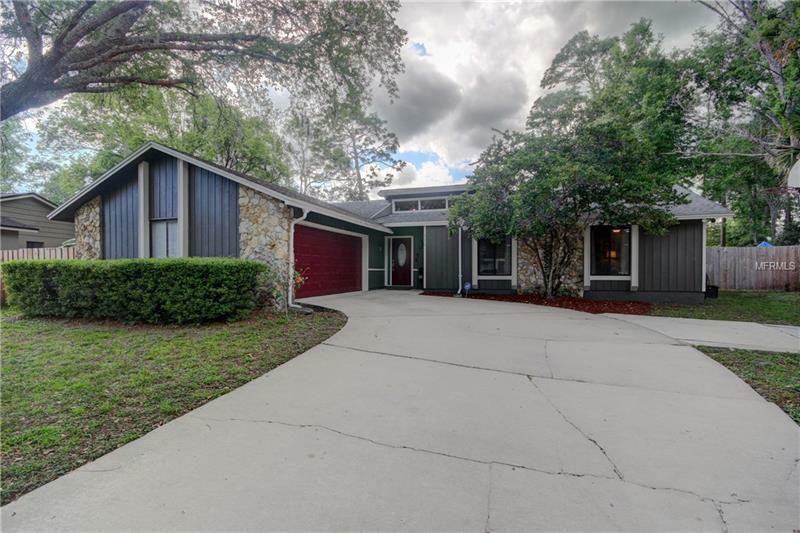 This beautifully renovated 3 beds, 2 baths POOL home is located in Longwood’s desirable Wekiva Hills community! The home features a spacious open floor plan vaulted ceilings and lots of natural light throughout. The entire living area has been completely updated! Updates include a brand new custom kitchen with espresso cabinets, large wet-island, granite counter tops, tiled backsplash and stainless steel appliances. The kitchen opens to the spacious family room which includes a floor to ceiling slate fireplace, tile wood plank flooring throughout entire living area and updated double sliders which lead out to the homes covered and screened lanai and HUGE fenced backyard! Some additional features include: New AC in 2016, updated wood/laminate flooring in all bedrooms, Updated light fixtures, Neutral paint throughout, Direct access from the backyard to the Wekiva walking and biking trail. Wekiva Hills is a very sought after community due to TOP RATED Schools and fantastic community amenities including golf-community, parks, playgrounds, tennis courts and clubhouse! Call today for a private showing!